Like his friends Banting and Best, Dr. John Fitzgerald was a Canadian hero. He founded Connaught Labs, saved untold lives with his vaccines and transformed the idea of public health in Canada and the world. What so darkened his reputation that his memory has been all but erased? A sensitive, withdrawn boy is born into the gothic house of his long dead grandfather, a brilliant yet tormented pathologist of Irish blood and epic accomplishment whose memory has been mysteriously erased from public consciousness. As the boy watches his own father - also an eminent doctor - plunge into a suicidal psychosis, he intuits, as the psychiatrists do not, some unspeakable secret buried like a tumour deep in the multi-generational layers of the family unconscious. Growing into manhood, he knows in his bones that he must stalk an ancient curse before it stalks him. To set himself free, he must break the silence and put words to the page. His future lies in the past. JAMES FITZGERALD is a journalist and author whose first book, Old Boys: The Powerful Legacy of Upper Canada College, was a controversial inside look at the attitudes and mores of Canada's ruling class. Revelations of the sexual abuse of boys at the school, first published in the book, led to the charging and conviction of two former teachers and the launching of a class action lawsuit against the college in 2002. 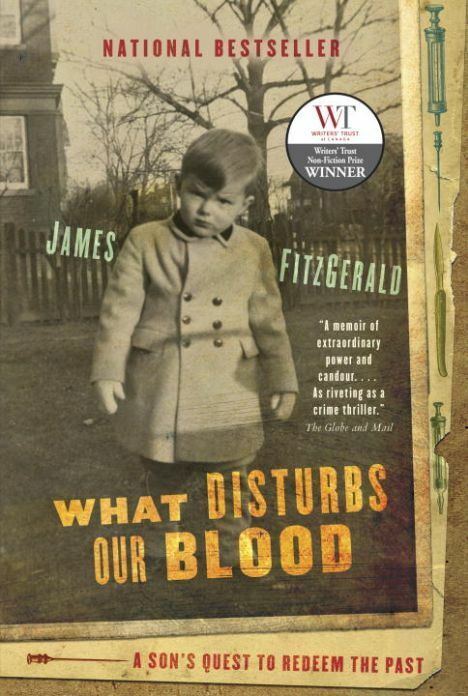 The article that sparked What Disturbs Our Blood won a National Magazine Award.